At Mill View Memory Care, you can choose the right level of care for you or your loved one. For those in need of Memory Care apartments for seniors in Bend, OR, our community offers specialized assistance and engaging activities. We also offer short-term stays for those seeking Respite Care or temporary living for seniors, as well as Hospice services. Our community is designed to create a peaceful, lodge-like setting designed especially for seniors, with stylish, modern interiors which are both soothing and easy to navigate for those living with memory impairment. We work with our residents and their loved ones to provide specialized care and support at all times. Only moments from top medical centers in Bend, including St. Charles and Bend Memorial Clinic, residents receive the utmost care and attention from energetic onsite staff and off-campus providers. Mill View Memory Care provides friendly, professional Memory Care for seniors in Bend, OR. Adults living with memory loss illnesses, such as Alzheimer’s and dementia, will enjoy the calming, homelike surroundings and activities they want and need to live a rich, fulfilling life each day. Bend Respite Care and short-term stays are available for those in need of temporary care for seniors after a hospital stay, illness, or injury. They are also an ideal solution when a regular caregiver requires time away, or for those interested in a trial period to see if our community is the right fit. 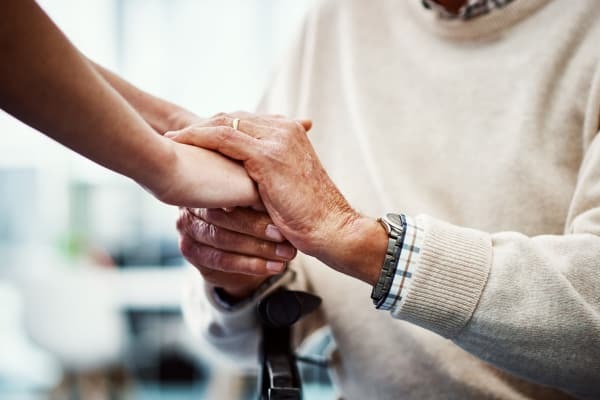 Mill View Memory Care provides Hospice services in Bend, so you and your loved ones can focus on being together while we take care of the rest. Our professional senior care experts are here to provide exceptional support and assistance with a kind hand and a warm, caring heart. Discover quality care and enriching lifestyles at Mill View Memory Care. Contact us today for more information.